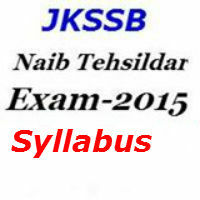 If you have applied for recent JKSSB Naib Tehsildar Exam for 134 posts, then the next big thing is to look for JKSSB Naib Tehsildar Syllabus and find out the right Books and Study Material for Naib Tehsildar Exam 2015. It is expected that over 50,000 people will apply for 134 Naib Tehsildar posts (A Cut Throat Competition). So the Mantra to Pass this Exam is to work hard, Prepare by covering the Syllabus ,Choose the Right Books, Study Previous Naib Tehsildar Question Papers. As we said that this is a highly competitive exam is J&K, so starting to prepare early for the exam will help you in the long run. 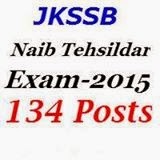 The job notification for the Naib Tehsildar recruitment was announced by the Jammu and Kashmir Service Selection Board (JKSSB) on 8th April 2015. The total number of jobs announced in this recruitment drive is 134. Don’t be fooled by the number of posts, they might seem like a large number but the number of applicants are going to be magnanimous. It is expected that 75,000 plus students will sit for the exam. So to crack this prestigious exam proper plan with right amount of map print for preparation is required. Here are some tips which can help the students to pass this exam with flying colors.